The practice of using smoke to calm a beehive is probably as old as the idea of robbing a bunch of stinging insects. However, no one really understood how it works until the 20th century and we still don’t fully understand. Thanks to science, we do know that smoke covers a pheromone that the bees release when they are squished, or after they’ve stung something, called an alarm pheromone. This scent indicates danger and is a signal for the other bees to attack. Smoke hides this and also triggers a feeding response in the hive causing them to gorge themselves with honey in anticipation of abandoning their hive due to fire. Bees that have a full stomach have a hard time curving their abdomen into position to sting. Hence, smoke is still used today since it does make a difference in the bees attitude towards you. I have never used commercially available fuels simply because it’s more cost efficient for me to use natural things. However, I have heard very good things about two fuels that you can buy. They are burlap and compressed cotton. People say that the smoke from these are fairly clean, it stays cool, lasts for quite a while, calms the bees, and doesn’t smell too bad considering it is smoke. I have also heard that rolls of corrugated cardboard work well when made to fit your smoker. If I were to buy fuel at some point it would probably be one of these. As far as “natural” fuels are concerned I am only referring to things you’ll find outdoors that will burn. We live in an area with a lot of pine trees so I normally use dried pine needles for my smoker fuel. They don’t always last as long as I need them to but they are very abundant and readily available. That makes it easy for me to just add a little more before the smoker goes out. Leaves will work if that’s what you have but, not oak leaves. Oak leaves have a tendency to aggravate the bees more than calm them. Maple, Sycamore, and hickory will work though. Leaves burn a little hot if you don’t continually add more and will catch fire if you’re not careful. They’re really not the best fuel but, like I said, they’ll work if that’s what you have. I’ve heard that straw or hay works as well but also tends to catch fire. Wood chips have also worked well in our experiences, primarily hickory chips, and of course they were combined with pine needles. 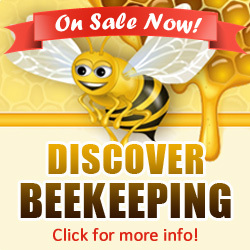 Most beekeepers just try using what they have available and, if it works, continue to use that. Be mindful of certain things, like treated wood, or other substances that would contain chemicals which could be released in the smoke and harm your bees. 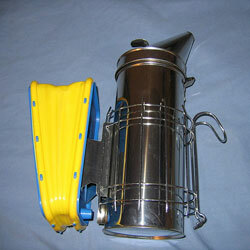 There are as many options for smoker fuels as there are beekeepers. You’re sure to find your own unique combination of fuels to suit your fancy so, just keep trying things until you find one that works for you. The ultimate fuel for calming the hive is cheep and plentiful here in wisconsin. Neighbors would welcome you raking and cleaning them up before winter. The answer – DRIED PINE NEEDLES! Doen’t know the science behind this, but the results are what I care about. They burn long and my bees dig it! Can’t argue with success. 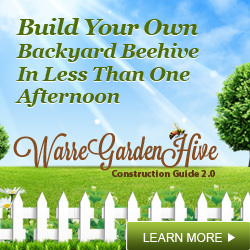 I am from Central Texas and I found that useing walnut bark which has a sweet comming affect on the bees and you dont need much of the smoke for it to work, my bees are very com and friendly, I very seldom get stung in less I invertainly hurt one. Walnut bark has a sweet aroma, very plesant smell. Cow droppings work wonders for us. It’s plentiful, makes lots of smoke, and clears the bees quick. We’ve also tried horse manure but didn’t have as much luck with that. Seemed to draw them in more then push them away. I have found pine straw does a pretty good job also. Cow droppings/also known as dung does the job pretty well.once pumped into the hive bees will very quickly become your friends. I tend to think that your bees can get to know you very well by the scent of the fuel used constantly,that is to say,they get used to you hence they become less aggressive.Avoid changing fuels often as the insects will be exposed to a strange smell each time you bring a new fuel and they will FIGHT OFF.